Moscow, October 17, Interfax - The Moscow Patriarchate official urges Greek Catholics to abstain from participating in Ukrainian politics and supporting schismatics in the country. 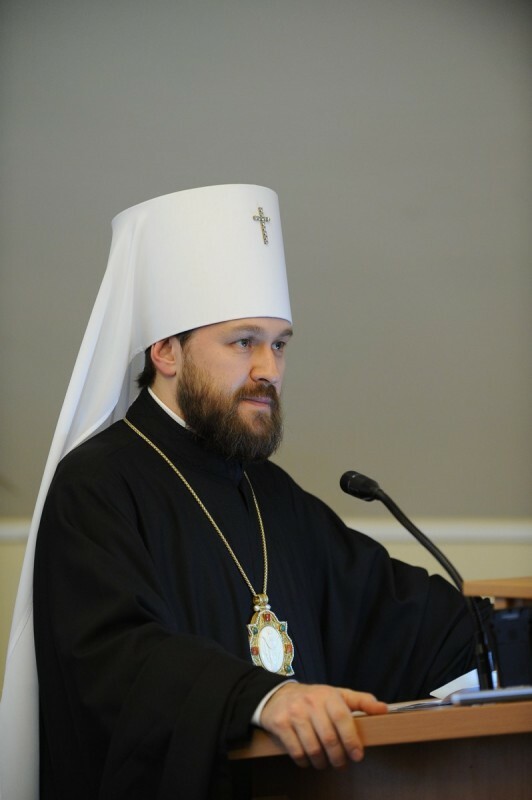 “On behalf of the Russian Orthodox Church, I would like to address the representatives of the Ukrainian Greek Catholic Church present in this hall with an appeal to renounce any statements on political topics and any visible forms of support of the schism as well as calls to create “one Local Church of Ukraine,” head of the Synodal Department for External Church Relations said speaking on Thursday in Vatican at the General Assembly of the Synod of Catholic Bishops, the DECR press service reports. “Regrettably, the conflict in that country, which has already taken the lives of thousands, from the very beginning has acquired a religious dimension. A significant role in its conception and development has been played by the Ukrainian Greek Catholic Church. From the very first days of the conflict, the Greek Catholics identified with one of the sides of the confrontation. Contrary to the respect for canonical norms prevailing in relations between the Catholic Church and the Orthodox Church, the Greek Catholics have entered into active cooperation with the Orthodox schismatic groups,” the hierarch said. He reminded that the Joint Commission for Orthodox-Catholic Dialogue, as far back as 1993 in Balamand, recognized that Uniatism is not the way to unity. “We are grateful to our Catholic brothers for their open recognition of the mistakenness of Uniatism,” the Russian church official said.